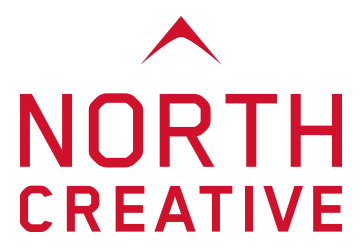 North Creative works with a wide range of clientele, from start-up’s to SME’s to offer web design in Market Harborough, Leicestershire and surrounding areas. Our projects are tailored to meet the needs and budget of each individual client. If you’re a start-up or SME and need a great online presence, we’d love to hear from you. If you are looking for a website that you can update yourself, you need a CMS (content management system). This lets you add pages, news/blog posts, upload images and basically, take control of your whole website. If you are looking for a CMS, we have experience in using WordPress, Drupal and Umbraco as well as creating bespoke solutions for when you need something more advanced. If you are looking for a website through which you can sell products, you need an e-commerce website. These let you add products, categories, discount codes, sale items… the list goes on. If you are looking for an e-commerce website, we’ve worked with Magento, Woo Commerce, Click Cart Pro, PayPal, Stripe & World Pay to name but a few. We ensure that our websites are ‘responsive’, meaning that they look great across a full range of mobile and desktop devices. If you are looking for something ‘simpler’, then we also produce what we like to call ‘brochure sites’ ideal when content management is not needed. We can help with updates, as and when you need them. We are always looking to use the latest front-end technologies, keeping us at the cutting edge of what we do. If you are looking for Web Development Market Harborough – let’s talk. We are proud to be a UK Fast partner – the UK’s largest independently owned cloud and hosting company. We can advise and provide you with the right solution to host your website, taking confidence in the fact that they offer 24/7/365 UK-based support.